Nothing else conjures up the spirit of the fall season quitea like football and tailgating. And if you’re one of the 240 million people in the world who are cleaning up their grills and washing out their coolers in preparation for a whole new season of fun, you’re probably also looking for fresh new takes on the standard party fare. Enter Daina Falk, daughter of legendary sports agent David Falk who grew up at sporting events and around professional athletes who were her dad’s clients. Publicly known as “The Hungry Fan®,” she now expertly organizes the sports fan’s game day experience, whether at home or in a parking lot (which she calls “fangating”), at a stadium or a sports bar. 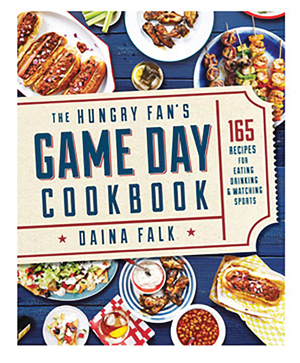 Daina’s first cookbook, “The Hungry Fan’s Game Day Cookbook: 165 Recipes for Eating, Drinking & Watching Sports,” was just released last month. Featuring tips on planning menus, packing snacks and finding top stadium eats, it also includes fun facts, team trivia and Daina’s memories of growing up on the sidelines. Some of the recipes even come from Olympians and professional athletes such as Michael Jordan, LeBron James, Andre Agassi, Boomer Esiason and Robert Griffin III. A member of the Women’s Club Tennis Team while a student at Duke University, Daina went abroad after graduation, living in Florence and Paris where she studied both the fine and culinary arts. But since she was no longer playing a sport, she realized she needed to make adjustments in the recipes of her favorite foods. This realization triggered Daina’s belief that food is an important cultural component of every sports spectator’s experience, both domestically and internationally. And her new life’s journey into healthy eating is reflected in her recipes. Her mobile app, Hungry Fan™ enables sports fans to easily locate concession and drink menus at over 70 ballparks, stadiums, arenas and speedways in North America. 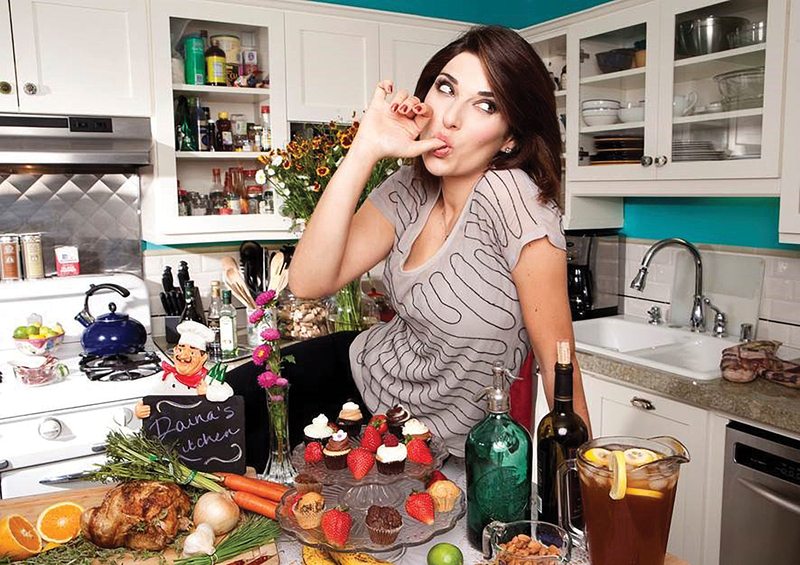 She also shares her game day recipes, including her healthy spin on “sportsfood” (a Twitter hashtag she created), on her HungryFan.com website and on Celebrations.com where she is the resident sports, fangating™, sportsfood expert. This cookbook is the perfect helper to up your game on your own tailgating celebrations and is also the perfect gift for your favorite sports fans. If you can’t find it in your local bookstore, you can purchase it on Amazon.com in both paperback and Kindle versions.